Like to sing? So do we! Parkway’s Choir rehearses every Sunday morning starting at 9:30 AM and then sings during the 10:30 AM service (10 AM in the summer). 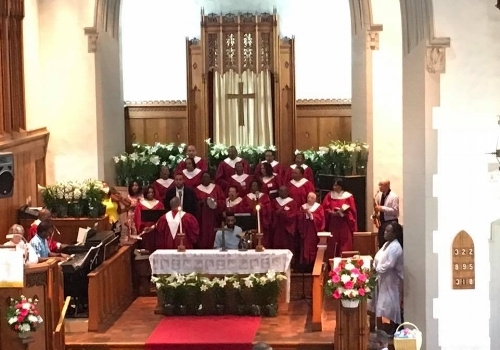 Brother Dennis Slaughter, Director of Music Ministries, directs the choir and is always glad to talk with you about how to get involved in Parkway's Music Ministry.